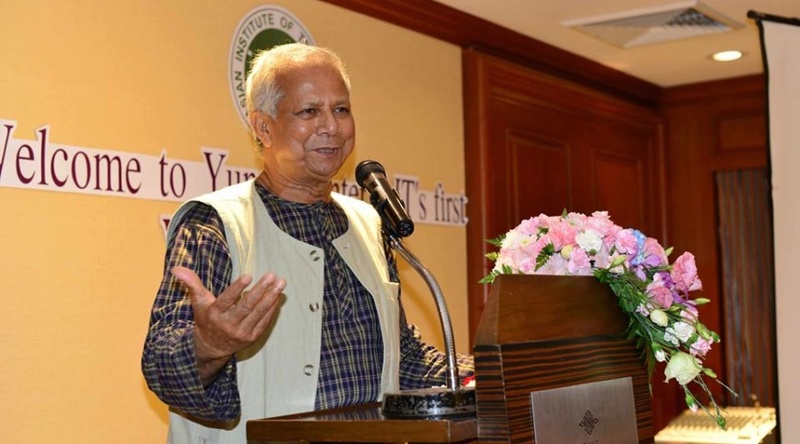 YCA is the first collaboration between Professor Yunus and a university since 2009. We contributed on the development and dissemination of Social Business as an approach to eliminating poverty by harnessing the power of the market through improved access to resources, skills and opportunity for the most marginalized communities. There are now expanding as global network of 41 university-based centers spanning all continents. At YCA, we act as a networking platform and knowledge hub for people who interested in Social Business and social issues. We are very proud of our International Learning Program for whoever keen to learn the ways to solve social problems. 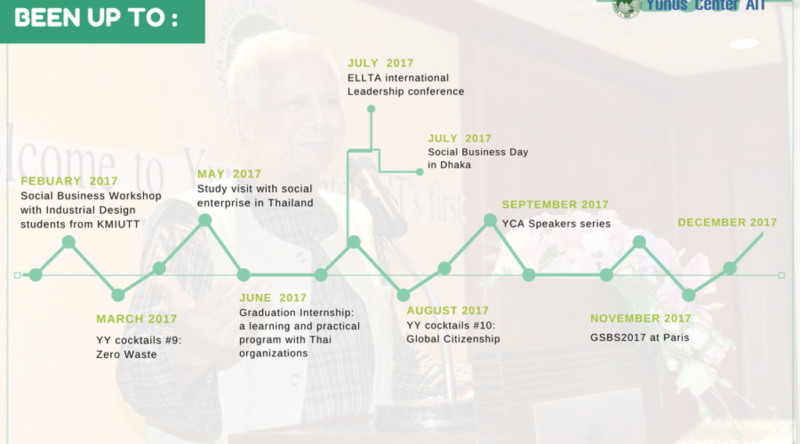 We created an involvement places for exchanging enterprise-led development ideas from the many counties that the Yunus Centers network works in, and share Thailand’s own experience in grassroots enterprise development. This year, we attract people from all over the world whether Brazil, Chile, USA, Taiwan, Japan, Pakistan and Thailand. Sustainable Living has had a tremendous influence in this moment. In the mid-year, YCA has inspired a social business space on the campus. The idea has already emerging a unique retail outlet named “Chill Chill Lifestyle shop“ that role as an educational hub where its make available affordable lifestyle merchandise, and promotes sustainable and healthy life-choice to the AIT community. YCA is continuity invited to be a mentorship or judgment, to present Social Business aspects in several events or workshops, included disseminate the ideas and discussion on a wide range of social issues. We also hosted a workshops and panel discussions by inviting our visiting experts to generate awareness about Social Business and other topics where related in this area, for example the sufficiency economy philosophy of His Majesty King Bhumibol Adulyadej of Thailand, Social empowerment, Sustainable Development and more. Our workshops always has been participated by a diverse group, for whom we are incredibly grateful. 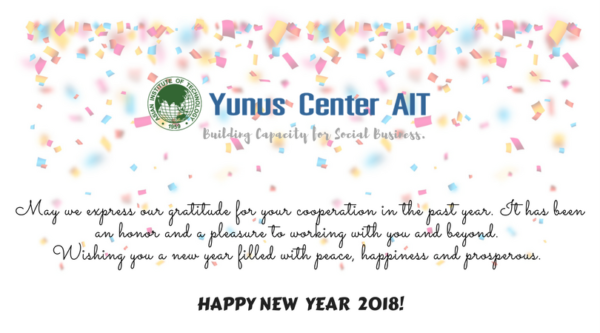 2017 is another important step of YCA. Ending the year by many successfully activities with collaboration in several sectors. Especially working with a number of Thai’s major corporations, to create social business opportunities for communities within the country. There are always lots of places to go and learn. We marked on the 17 Sustainable Development Goals (SDGs) as a main achievement that we intend to focus on. We spearhead preparations for a several events and programs within collaboration and support from our worthy partner. Our movement is transformation of theories into an actions. Driven the SDGs as opportunities for Social Business towards enterprise-led development and social business in Thailand. Please stay tuned for the excitement in our work .. .